I'm really digging Peppermint! I do have one gripe, however. 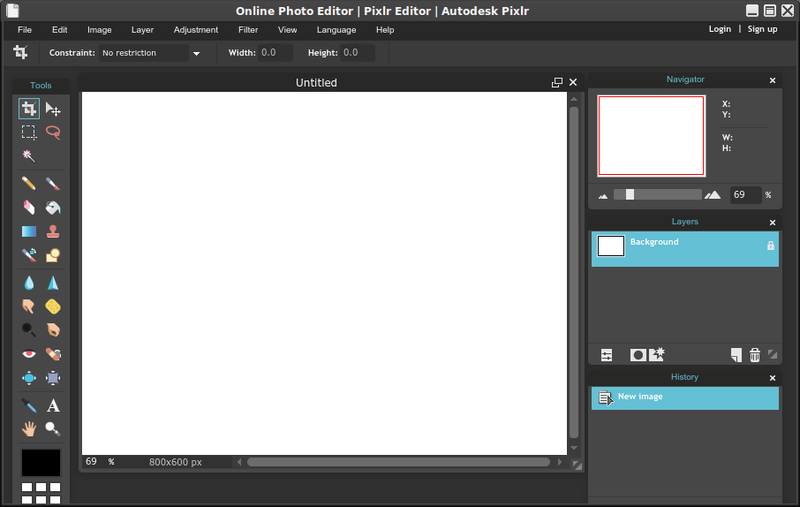 Is everyone really OK with having ads take up 1/3 of the default image editor's window? I could see that being a big turnoff to some people. I get that this is inevitable with free web apps but this seems excessive. I do have to stress (to others) though that ads in SSB's are NOTHING to do with us, we are not affiliated with them, have zero control over them, and don'tt profit from them in any way. I like this site's ads, so I keep ABP disabled here. They're simple and not intrusive banners. I miss when sites just had those. I have ABP in Firefox because of those sites that have annoying auto play video ads and stuff that pops up inside the windows to get around popup blockers. Heck, I even clicked on one of the MODO ads on here one day, because I wanted to sign up for a free trial of that software, which I did. But, yeah, if you don't like ads in the SSBs, Chrome/Chromium has a variety of ad blockers available. One of those will fix you right up, as PCNetSpec said. I do the same: I've whitelisted this forum also. I wish, however, that Google AdSense (Analytics?) wasn't paying so much detailed attention to my posts. Are you saying you're NOT getting the adverts any more ? I've now removed AdBlocker completely from my computer, and NOW I've stopped getting ads in Peppermint at all. I took a peek at Privacy Badger --an extension which I've had for ages-- and it says the culprit here is googleads.g.doubleclick.net. I can allow it, if I so choose; but would anyone know anything about this cookie? From what I've read, its range could go far beyond Peppermint, but to Peppermint and every site I visit henceforth. Does anyone here know anything about this silly Google cookie? Is it a bad player, or is it alright? The more I read about it, the less I know. Funny how after I got rid of AdBlocker today, now Peppermint's ads are being blocked on my computer! Soon after I posted this I see that Google's spider called AdSense out to pay a visit --sending a cookie out to investigate matters perhaps! are you also running something like ghostery ? No. I got rid of AdBlocker today, and installed Google Analytics Opt-out Add-on (by Google) and IBA Opt-out (by Google) from Google itself (If Peppermint is going show me only ads for women's dresses or children's shoes I rather see neutral ads about Linux or cars.) 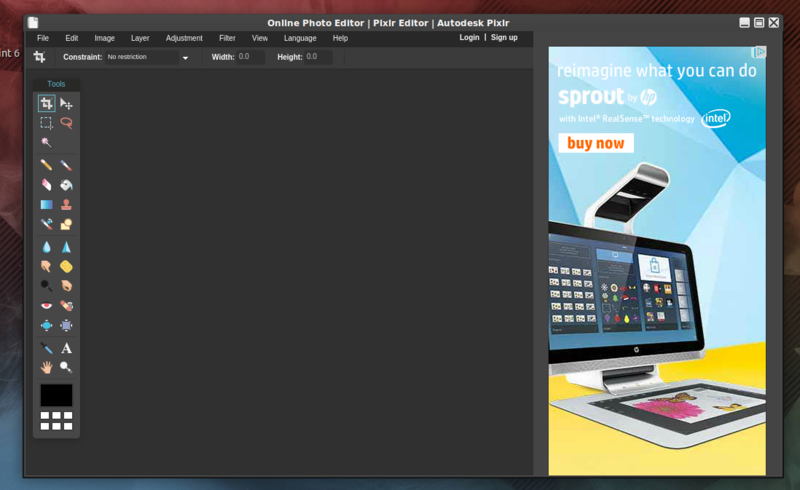 but disabling, or removing, these add-ons does nothing to assist me here. I've tried doing this already. PCNetSpec, it is not that I can't receive ads. It is that I've being warned about this particular tracking cookie. According to the EFF (the Electric Frontier Foundation) which created Privacy Badger, this particular cookie is a bad player. I can slide the bar to the right and enable ads again. It's their warning about this cookie that troubles me. It is in red, but Privacy Badger's function is not to particularly target ads --although some ads do become suspect and neutralized because of the cookies behind them. From a map I've seen, this googleads.g.doubleclick.net, is an American cookie. I don't think you have this particular cookie in the UK. What I'm hoping is that Peppermint will begin giving me other kinds of ads when its ad center realizes I will not allow that particular cookie to track me any longer. The NY Times has already begun doing this for me. Although I am seeing more ads at the NY Times' site, their ads have changed. Might Peppermint's ad center begin to do the same for me too? Should it slide the cookie tracker blocker over to yellow? I seem to be able to get the ads then. Google ads still want me to buy that green dress. Does Google know something I don't to know? My goodness, it does! I just realized something: There was an important birthday today that I had forgotten about. And I'm in the dog house now. Google Analytics really does know everything about us. And the IPA Opt-out apt isn't much of an apt after all.